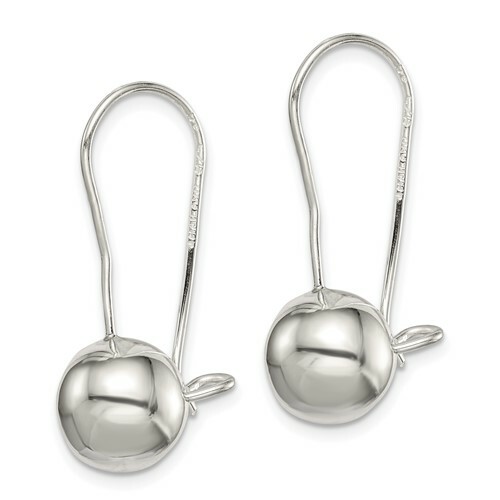 10mm dangle ball earrings are made of polished sterling silver. Weight: 3.2 grams. My mother lost a pair of earrings that were identical in appearance to these. I got them for her for Christmas and she was very happy. My only complaint is that they look a little cheap but the price for the quality is excellent. She wears them everyday.